That's right....New name, new business, new website, new everything!!!!!!!! 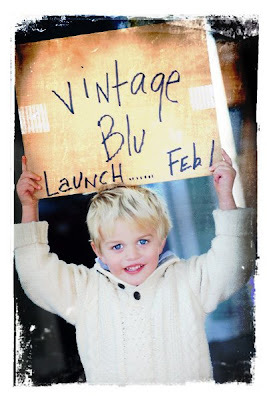 I am so excited about this launch. It's been in the making for a while, just ironing out the details. It still is the same ol' me. Just a new way of displaying what I do. Now....I know the "changes" post a while back stirred up some questions...SO hopefully, this answers those and makes you as excited as I am. So I love the new webpage!!! Great job Joy!! Sessions in '09 are officially open for booking....Yippee Yahoo! I am married to the most wonderful person ever, Nate, and am a stay at home mom of three beautiful children: Tucker (8), Paige (6), and Gus (2)! Love it, Love it, Love it! I feel so blessed to have gotten the chance to be at home and watch my kids grow. But now with 2 in school, I have gotten the chance to play a little bit with my camera. It's been a fun little hobby that has started to develop a little. I am a natural light, on location photographer! And am Loving it!!!! Hope you enJOY the blog! My real passion is decorating/interior design!!!! I would love to help you (or your friends) within your own walls. We could either take what you have and give it a fresh look or totally re-decorate! Call me if your in some need of help! 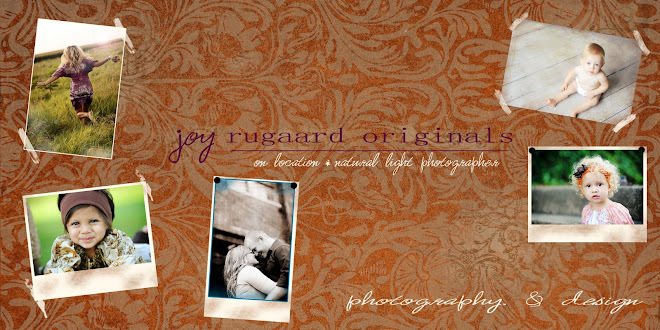 All photographs are protected under the federal copyright laws and belong to "joy". Please do not download, print, save, or post any images from the blog. Thanks so much!